Ah, the Galápagos Islands – magical land of playful seals, blue-footed boobies, evolutionary theory, and cold-blooded murder. 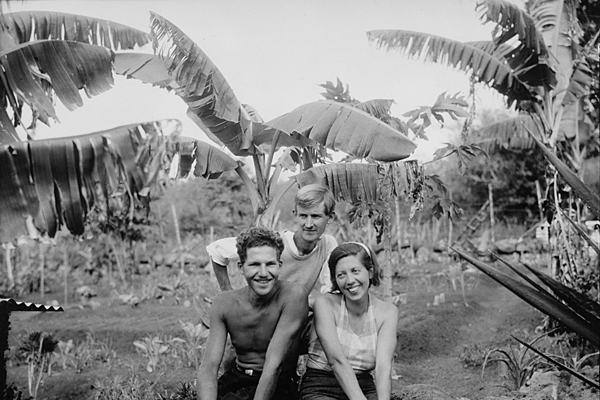 The curious case of the Galápagos Affair begins in 1929 when Friedrich Ritter, a German physician, and his lover (and former patient) Dore Strauch fled their spouses and established a homestead on Floreana Island. Remote even by Galápagos standards, Floreana is a hard place to live, and the couple’s rugged individualism earned them international notoriety and more than a few imitators. 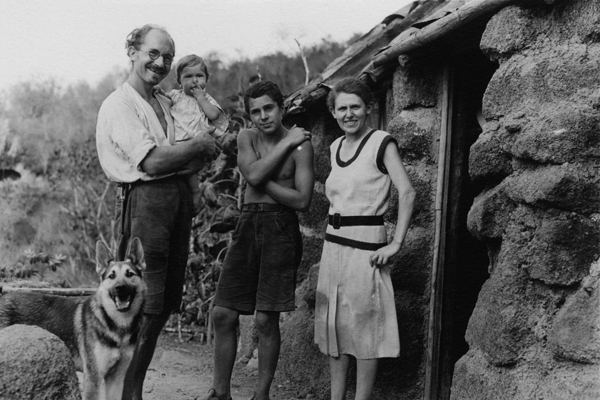 Heinz Wittmer with his wife Margret and their two children on Floreana Island, Galapagos. Archival photo. A few years later, another German, Heinz Wittmer, arrived on Floreana with his pregnant wife and teenage son with the same “back to the land” dream. While cordial, the Wittmers and Ritters largely kept to themselves, an arrangement that seemed to suit both parties just fine. Now, here’s where things start to get weird. Not long after the Wittmers came a third group of adventurers: Eloise Wehrborn de Wagner-Bosquet (an Austrian “baroness”), Robert Philippson and Rudolf Lorenz (her two-man harem), and Manuel Valdivieso, an Ecuadorian labourer. The Baroness had come, she said, to found a hotel on the island and transform the remote archipelago into an adult-themed bacchanalia. Needless to say, this idea didn’t go over well with Floreana’s other residents, who had come there to escape the outside world. The eccentric Baroness didn’t help matters much by strutting around the island with a pistol and whip, and declaring herself the “Pirate Queen of the Galápagos.” But while the Wittmers pretended she wasn’t there, Dr Ritter seethed. Hang on; it gets better. Lorenz, one of the Baroness’ German lovers, started hanging around with the Wittmers. Ritter and Strauch turned on each other. The Baroness allegedly began stealing everyone’s mail. Heinz Wittmer shot the Ritter’s donkey after Philippson released it into the Wittmer’s garden. Bad went to worse, then worser. Then, people started to disappear. The Baroness and Philippson went first, vanishing on March 27, 1934, abandoning Floreana for Tahiti aboard a friend’s yacht according to Margaret Wittmer. Quizzically, they left behind virtually all of their possessions. They were never seen nor heard from again, and nobody but the Wittmers recalls any ship landing on Floreana around that time. Strauch and Ritter later claimed that Philippson and the Baroness were murdered by Lorenz and their bodies burned with acacia. Strauch figured the Wittmers had helped cover it all up. The "Baroness" and her two lovers on Floreana Island, Galapagos. Archival photo. You can probably guess where this is headed. Shortly after his former friends disappeared, Lorenz hightailed it off Floreana with the help of a Norwegian fisherman, headed for Guayaquil on the mainland. They never made it. 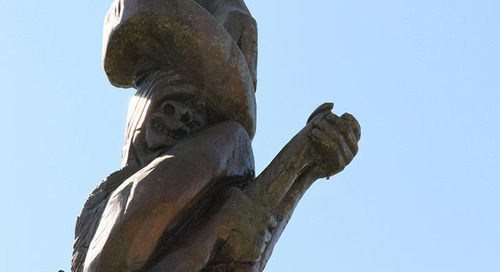 Instead, their mummified corpses were found on the deserted island of Marchena on the archipelago’s northern edge. A few months later back on Floreana, Dr Ritter fell ill from food poisoning after eating some bad chicken. (Given that Ritter was both an experienced survivalist and a vegetarian, this is… unusual.) Some claim that Strauch poisoned him. Whatever the case, she didn’t stick around; within a few years, she returned to Germany, leaving the Wittmers as Floreana’s sole inhabitants. Their descendants still live there, and they stick to Margaret’s account to this day. We’ll probably never know what really happened all those years ago on Floreana, but it sure as heck is fun to speculate. Got any ideas as to who did what to whom and why? Have at it in the comments. G Adventures runs a number of departures to the Galápagos Islands encompassing a wide range of dates and activities to cater for different tastes. We’re thrilled at the prospect of showing you this big blue planet of ours — check out our small group trips.